ARE YOU A VICTIM OF YOUR OWN DISABILITY INSURANCE COMPANY? DID YOU PURCHASE SHORT TERM AND/OR LONG TERM DISABILITY INSURANCE THROUGH YOUR EMPLOYER? DO YOU CONSIDER YOURSELF A PRODUCTIVE EMPLOYEE? HAVE YOU DEVELOPED A SUDDEN OR CHRONIC ILLNESS WHICH CAUSED YOU TO STOP WORKING? WHAT HAPPENED NEXT? DID YOU APPLY FOR SHORT TERM DISABILITY BENEFITS? WAS YOUR CLAIM INITIALLY APPROVED? IS THE DISABILITY INSURANCE COMPANY NOW SEEKING MORE AND MORE DOCUMENTATION FROM YOU AND YOUR PHYSICIANS? HAVE YOU BECOME OVERBURDENED AND DRAINED BOTH PHYSICALLY AND EMOTIONALLY AND WORRIED ABOUT YOUR FINANCES? HAS THE DISABILITY INSURANCE COMPANY TERMINATED YOUR BENEFITS? IS THE DISABILITY INSURANCE COMPANY CONTENDING THAT YOU DID NOT PROVIDE SUFFICIENT MEDICAL INFORMATION TO SUPPORT YOUR DISABILITY? DOES THE DISABILITY INSURANCE CARRIER CLAIM THAT YOU ARE NO LONGER DISABLED AFTER THE COMPANY HAD ALL OF YOUR MEDICAL REPORTS REVIEWED BY A DOCTOR OF ITS CHOOSING? WHAT SHOULD YOU DO? FIRST, DO NOT GIVE UP. CONTACT AN ATTORNEY IMMEDIATELY TO DISCUSS AN APPEAL. THE BENEFITS THAT YOU ARE ENTITLED TO RECEIVE ARE TOO VALUABLE TO IGNORE. HOWEVER, IT IS IMPERATIVE THAT YOU UNDERSTAND YOUR LEGAL RIGHTS BEFORE APPEALING. 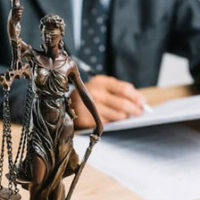 IF THE DISABILITY INSURANCE PLAN IS GOVERNED BY THE EMPLOYMENT RETIREMENT INCOME SECURITY ACT (ERISA), THEN IT IS IMPORTANT FOR YOU TO CONSULT WITH AN ATTORNEY FAMILIAR WITH THE ERISA REGULATIONS. DO NOT APPEAL ON YOUR OWN WITHOUT CONSULTING AN ATTORNEY. IF YOU ARE NOT FAMILIAR WITH THE APPEAL PROCESS THEN YOU MAY RISK JEOPARDIZING YOUR CLAIM AND NOT BEING ABLE TO PRODUCE SUFFICIENT INFORMATION TO SUPPORT YOUR DISABILITY INSURANCE CLAIM. KEITH R. SISKIND AND THE LAW OFFICES OF STEINHARDT, SISKIND AND LIEBERMAN, LLC. LOCATED IN GLEN BURNIE, MARYLAND ARE HERE TO HELP. WE HAVE THE EXPERIENCE TO ADVISE YOU OF YOUR LEGAL RIGHTS IN THESE CASES AND TO CONTEST THE INSURANCE COMPANY’S DENIAL OF BENEFITS. CALL US TODAY FOR A FREE INITIAL CONSULTATION.